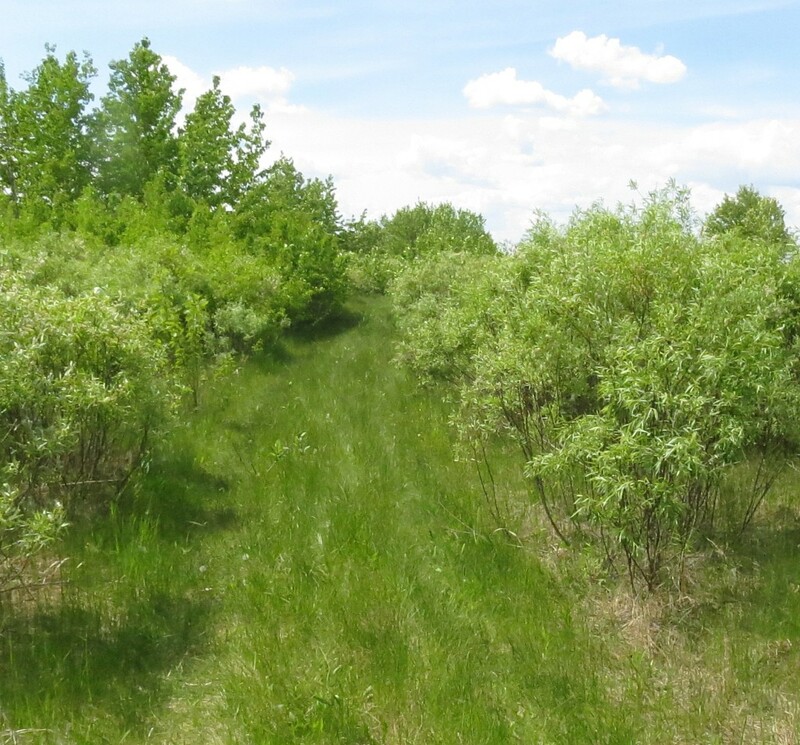 On a hot, breezy afternoon in mid-June, 2014, I drove a dirt access road to Beaverhill Lake, intent on birding this Alberta avian hotspot. 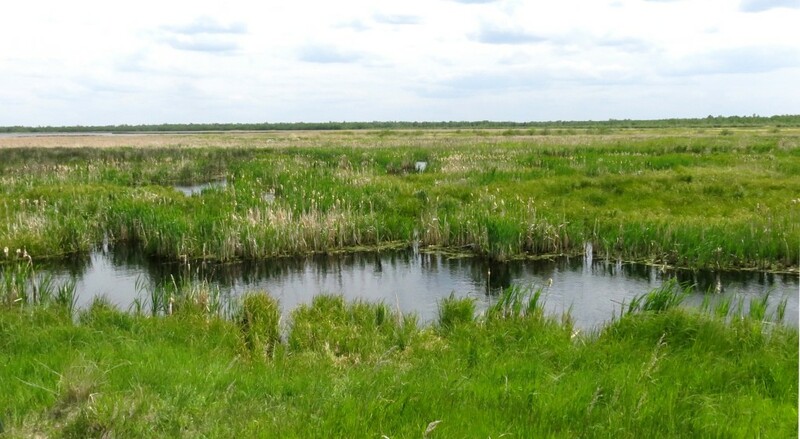 Located about 60 kilometres east of Edmonton, Beaverhill Lake is essentially a big, shallow slough 18 kilometres long, 10 kilometres wide, with depths to 3 metres, although most of lake is ca. 30 centimetres deep. In 1982 Beaverhill Lake was designated as a National Nature View Point by the Canadian Nature Federation. 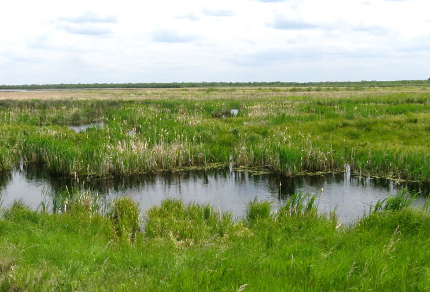 In succeeding years, it has received recognition as an Alberta Natural Area, a Wetland of International Importance (Ramsar Convention), a reserve within the Western Hemisphere Shorebird Reserve Network, and most recently, as an Important Bird Area of Global Significance. Every year, tens of thousands of migratory shorebirds and waterfowl use the lake as a staging area. A 1995 spring census recorded thirty-two species of shorebirds, with numbers totalling over 50,000 birds. The most abundant species were red-necked phalaropes, dowitchers, pectoral sandpipers, black-bellied plovers, semi-palmated sandpipers and American avocets. A 1996 census recorded seven breeding sites of endangered piping plovers. Mid-afternoon is not the best time for birding, and mid-June is past the staging time for migratory shorebirds and waterfowl, but I had the chance to squeeze in an hour and a half of birding between visiting family in two locales, so I jumped at it. As I eased my rental car into the bumpy parking area backed by aspen woodland, I spotted a mountain bluebird with brilliant blue plumage on a fence post – a glorious start to my outing! While locking the car, I heard a song sparrow and a clay-coloured sparrow belting out territorial songs from shrubs near the parking area. With mosquitoes hunting my blood, I hiked a willow-lined shoreline path that provided several lookout views over the lake. I heard a common yellowthroat’s “witchy-witchy-witchy” and a sora’s descending whinny. Male yellow-headed blackbirds perched atop disintegrating cattail seed heads and croaked out their raucous calls. 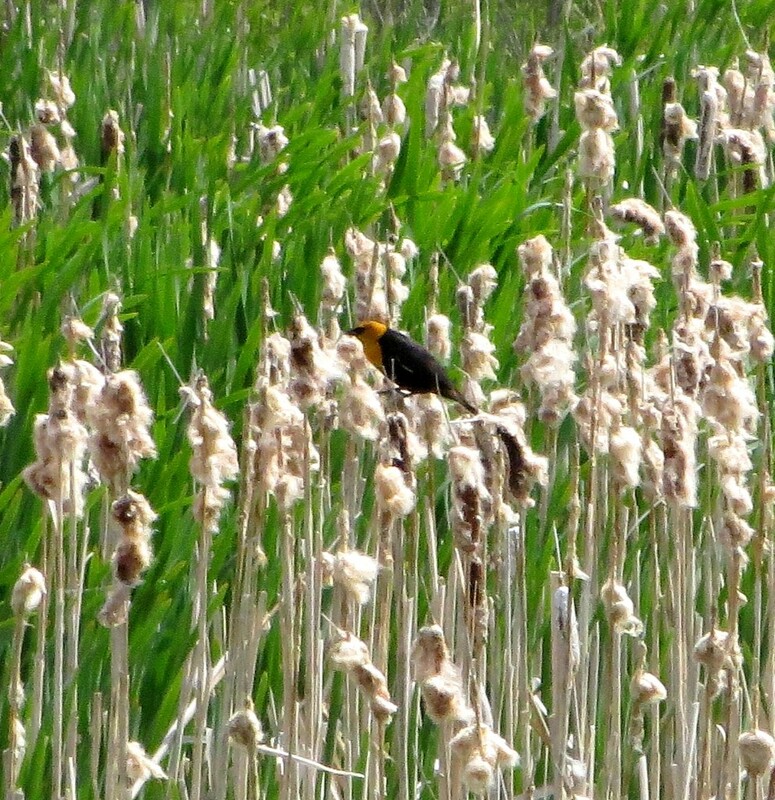 Red-winged blackbirds also defended cattail territories, vocalizing more melodically. 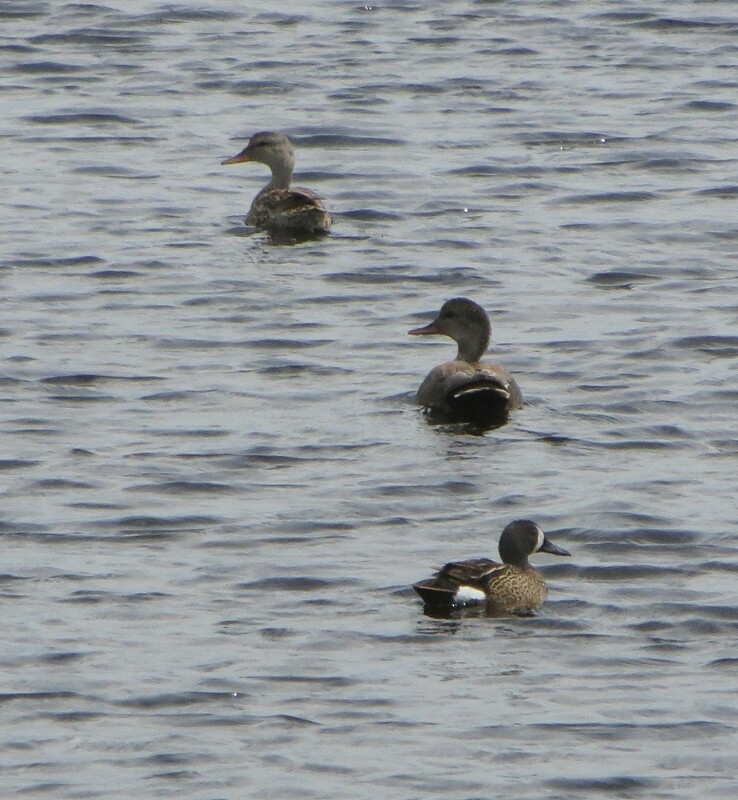 Blue-winged teal, green-winged teal, mallards, gadwalls and a northern shoveler floated on the water. An American coot darted among cattail clumps, emitting scratchy clucks. Tree swallows performed their avian acrobatics in the air. Blackbirds mobbed a raven winging over the cattail marsh. 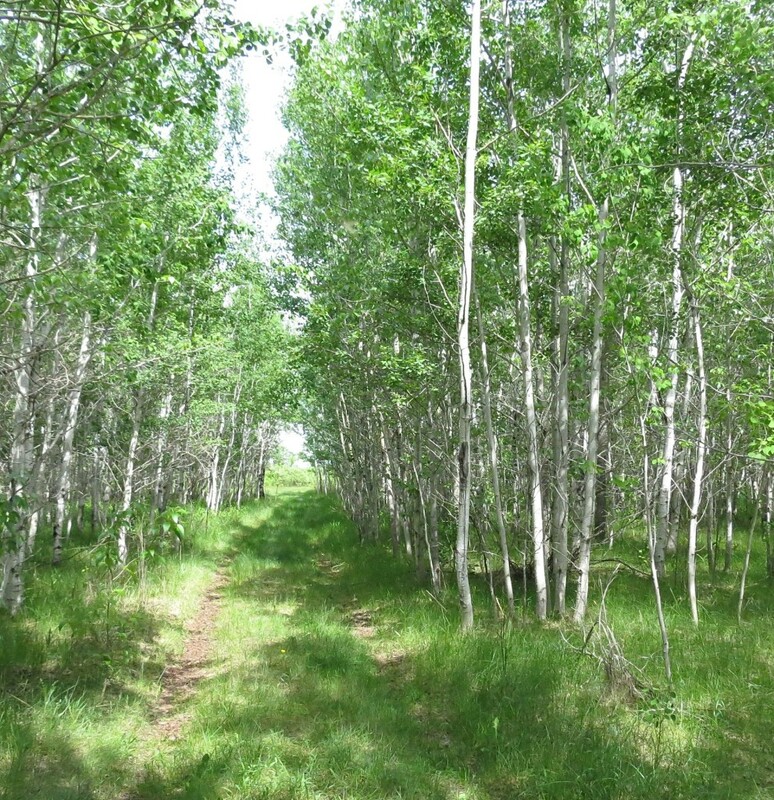 Uncomfortably hot under a bald sun, I returned to the car via a trail that led me through aspen woodland. A house wren warbled its cheerful song, American goldfinches flashed past like lemon-coloured flowers on the wind, and least flycatchers voiced their abrupt “che-bek” calls. I also potted a white-tailed deer and black-eared jackrabbit. After I’d entered the woodland, mosquitoes descended on me in full force, so I hurried past mist nets and the field laboratory of Beaverhill Bird Observatory, the steward of Beaverhill Lake. The observatory conducts bird counts, bands birds and monitors bird productivity. All in all, my brief outing at Beaverhill Lake was rich with birds, heat and mozzies! Next time, I’ll aim for a cool, fresh, early- morning bout of birding at this Alberta conservation success story. It’s well worth a return visit!